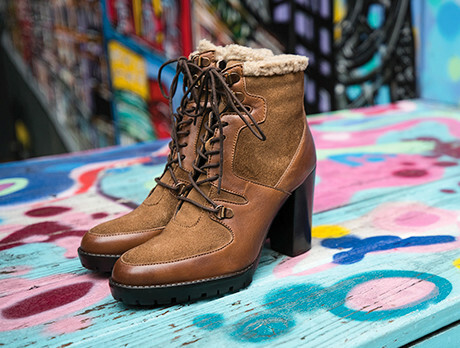 Established in 1934 as The Tower Boot Company, the label underwent a fashion-focused revamp during the swinging sixties to became a national hit, attracting style icons of the day from Twiggy to Lulu. Fast-forward five decades and the brand continues to charm the public with their trend devoted duos and lavish colourways. For an easy head-turning pair, walk this way.